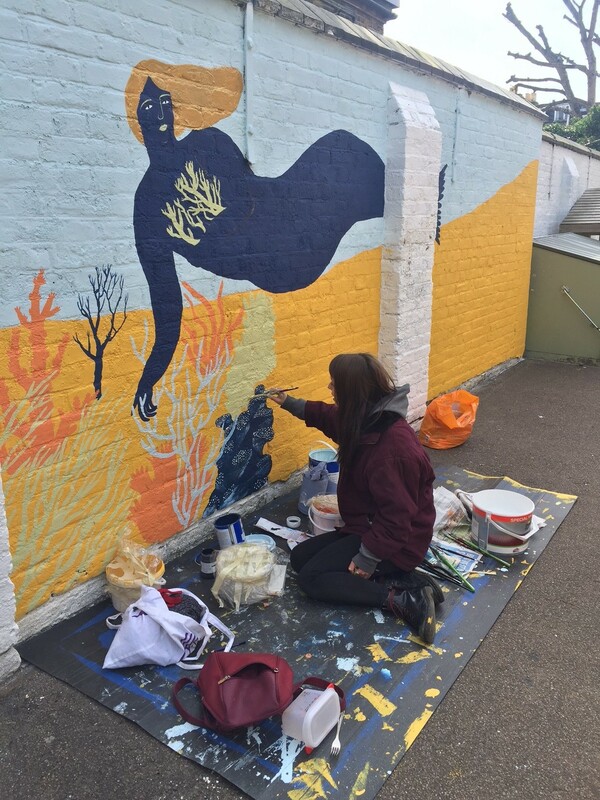 Three of Camberwell’s MA Illustration students were invited to work on a series of murals at Wix School in Clapham. Head Teacher Tania Kodjovi-Stapp and Nicola Marchesi, who runs the creative department at the school, worked to find MA Illustration students for the project. 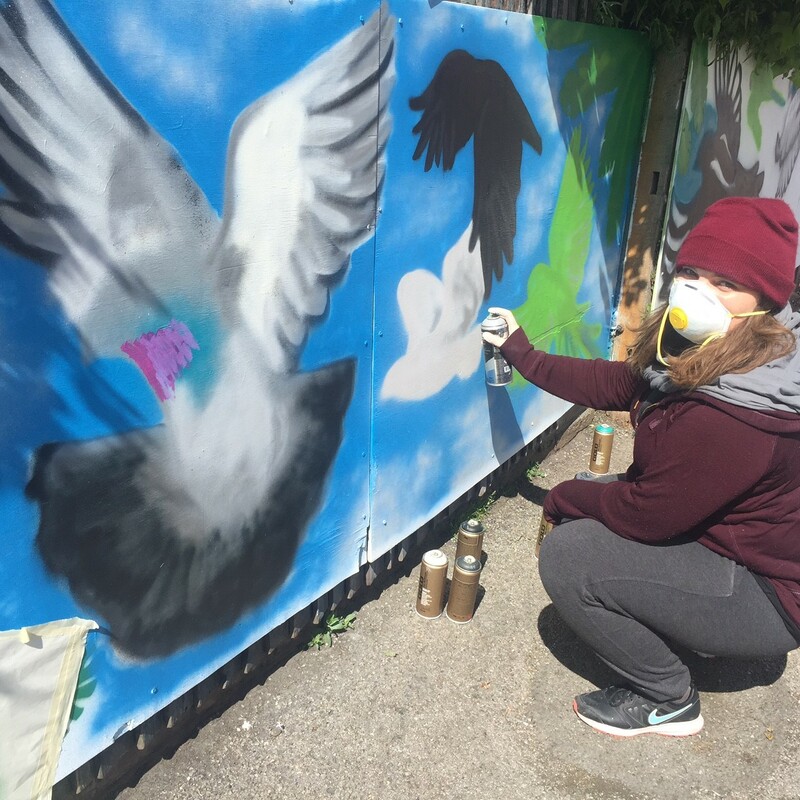 Students Georgie McAusland, Rob Grey and Miriam Leuhers braved the snow, wind and rain to create the artwork for the playground walls. Don’t miss more work from our MA Illustration course at the Postgraduate Summer Show 2016 exhibition from 14 – 20 July 2016.